Food Works! is our volunteering and employability project, offering local people in Kirkcaldy, food and horticulture volunteer training opportunities. 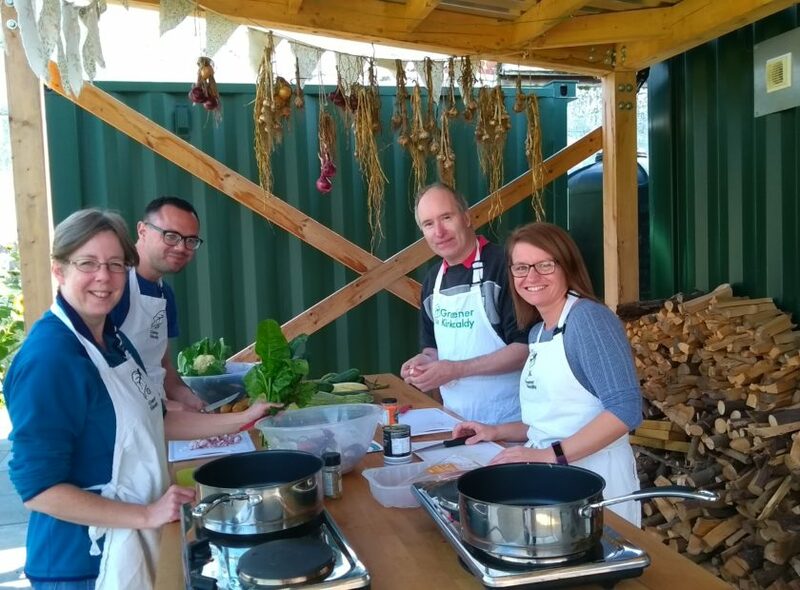 It is an 8-week programme all about building confidence, developing knowledge and improving skills in food and growing which will help participants into education, volunteering or employment. Over 80 people have taken part in our Food Works! programme so far, with many moving on to other volunteering opportunities, education, and employment. Our programmes are held in a friendly working environment which helps mirror many aspects of the workplace. Participants can also volunteer with us to build on their experience and learning. Our current programme is fully booked. Keep an eye on our website for dates of our next one!